Between Knott’s Boysenberry Festival in the spring, Ghost Town Alive! in the summer, Knott’s Scary Farm in the fall, and Knott’s Merry Farm at Christmas time, the popular Knott’s Berry Farm theme park in Southern California has successfully fleshed out its year will fun-filled seasonal events. 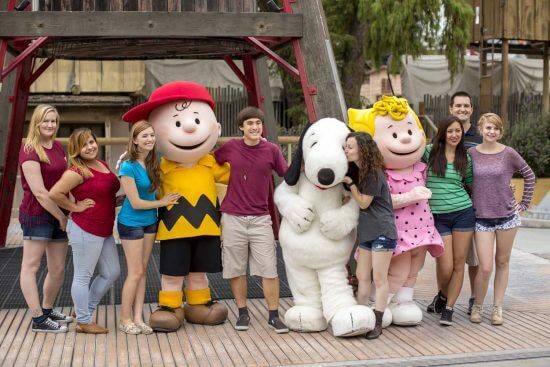 And now fans of the “Peanuts” franchise will have five full weekends to hang out with Snoopy and the gang in the park, as the Charles M. Schulz-created characters take center stage for Knott’s “Peanuts” Celebration. In addition to special “Peanuts” decorations throughout Knott’s Berry Farm, guests will have the opportunity to participate in photo ops and character experiences alongside Charlie Brown, Linus, Lucy, and the rest of the colorful cartoon characters from the “Peanuts” universe. The kid-friendly Grand Sierra Railway will receive a “Beagle Bonanza” ride overlay that will have families riding the rails Snoopy-style. New live shows for the event will include “Lucy and Charlie’s Balancing Act” in Camp Snoopy, the Schroeder-starring retrospective “The Music Goes Round and Round,” the nighttime extravaganza “Woodstock’s Musical Festival” on the Calico Mine Stage, and “Lucy and Sally’s Fiesta Fantasy” on the Fiesta Village Stage. 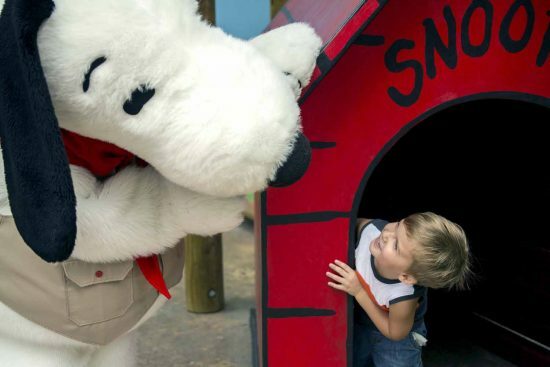 Kids can also learn how to draw Snoopy and friends at “‘Peanuts’ Sketch School” in the famous Birdcage Theatre, and “‘Peanuts’ Cowboy Jamboree” in Calico Park will have them hooting and hollering with fun wild-west-themed games. Plus, Pigpen will host special meetups with his favorite animal friends at the Livery Stables. Of course, no Knott’s Berry Farm seasonal event would be complete without specialty food items. Delicious “Peanuts”-themed meals and treats will be available around the park. And don’t forget to pick up the exclusive Knott’s “Peanuts” Celebration merchandise! Knott’s “Peanuts” Celebration takes place on weekends (plus Presidents Day) from January 27th through February 25th at Knott’s Berry Farm in Buena Park, California. Be sure to visit the park’s official website for more information and advance ticketing resources.